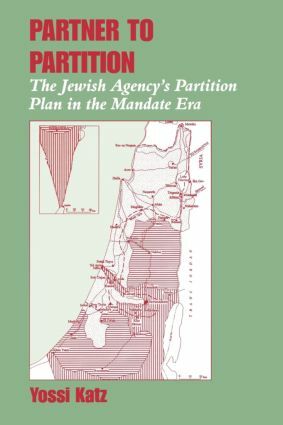 In this work Yossi Katz shows that the Jewish Agency Executive's partition plan, though never implemented, was not an isolated episode, but had short- and long-term implications from the Jewish perspective - that as well as having an impact on the immediate settlement policies, it also had significant effect on the partition of Palestine in the late 1940s, and on shaping the state-in-formation. "Rather dryly written, this monograph is nevertheless a useful addition to libraries with specialised collections on the Middle East." "A well written and piercingly researched book by a most knowledgeable scholar, of tremendous contemporary relevance." "Katz has done fine and fairly comprehensive archival work … This is a valuable monograph on one aspect of a formative period in Zionist history." "Yossi Katz, a professor of geography at Bar-Ilan University, has produced more than a discussion of territorial mapmaking; he summarizes a host of Zionist research reports, position papers, and internal debates, and translates dozens of fascinating verbatim quotations from the lips of the major Zionist decision makers."